The area bounded in blue on the map shows the area covered by flood alerts and warnings for Weaver catchment including Nantwich, Frodsham, Crewe, Winsford and Northwich. Areas at risk include Northwich Marina and Butcher and Barlow Solicitors. Areas at risk include London Road, Watling Street, Dane Street, High Street, Witton Street and Weaver Way. Areas at risk include the Market Hall, Chester Way, Percy Street, Witton Church Walk Primary School, Heber Walk, Queen Street, properties off Weir Street and Yarwood Close. Areas of risk include additional areas of London Road, Queen Street, Water Street, Drillfield Road, Whalley Road, and Percy Street; also the Court House and Dane Nurseries will now be affected. 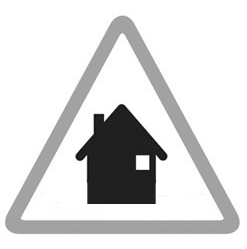 Areas at risk include riverside land from Beam Bridge to the railway and property on Ernley Close and Weaver Bank.